Whether you’re looking at former US president Barack Obama’s pivot to Asia, current US president Donald Trump’s Warship exercises with South-Korea and his recent talk of using nuclear missiles to totally destroy North Korea, the likes of the AfD-party in Germany, Marine Le Pen and Victor Orban gaining momentum in Europe, violent civil uprisings in Venezuela, continuing civil war in South Sudan or police violence at the G20: A look at the news these past months shows anything but peaceful sociopolitical relations at the world level. 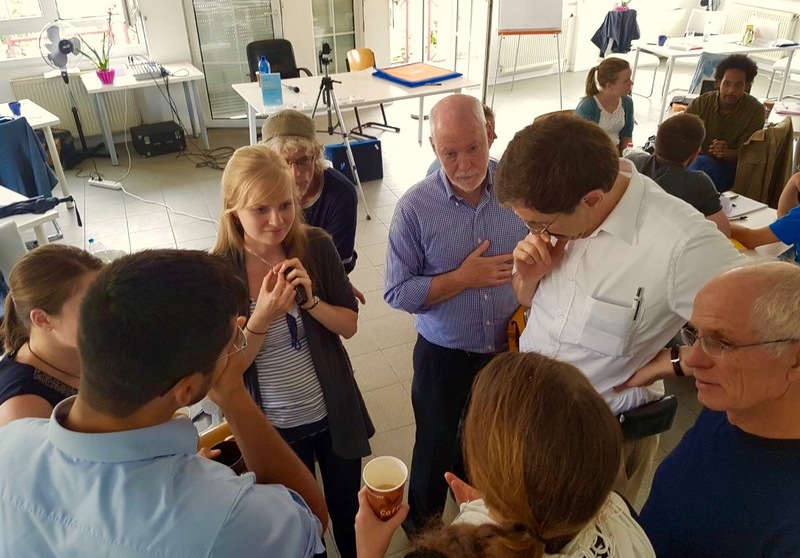 Responding to these concerns, the Galtung-Institut for Peace Theory and Peace Practice (G-I) offered a training for “Solution-Indicative Peacebuilding” during its Summer Academy in August 2017 (G-ISA 2017). I had only recently started working as a research assistant at the G-I and had been assigned a content analysis task with respect to identifying the adequacy or lack thereof between peace research criteria and the new German peacebuilding guidelines “Krisen verhinden, Konflikte bewältigen, Frieden fördern” as commissioned by the German foreign ministry. My job was to share the results of my work with the participants as a timely contribution to G-ISA 2017. My presentation to the full plenary of the Summer Academy was designed as a briefing on the matter to Prof. Galtung, the founder of the academic discipline of Peace and Conflict Studies & president of the G-I. So much to my contribution to the Galtung-Institut’s Summer Academy in 2017. 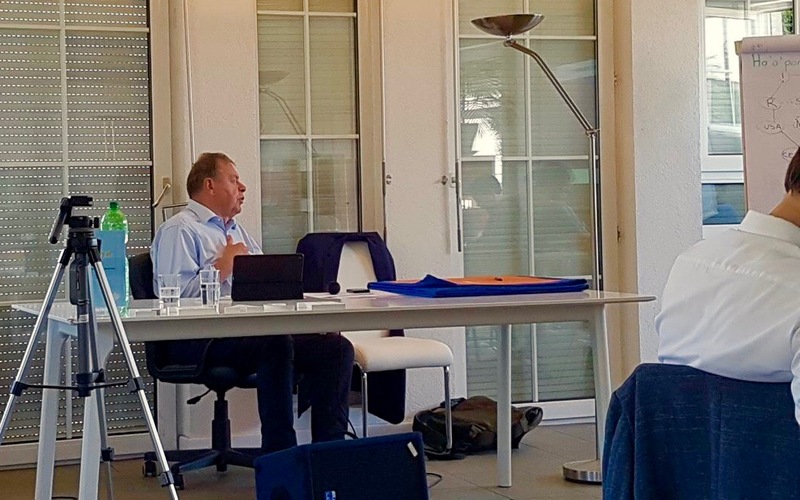 I was as excited to present to participants the German government’s recently updated approach to crisis prevention as compiled and made public under the project denomination Peacelab2016, as I was looking forward to participating in the Summer Academy as a regular attendee. As such, my expectation was to acquire new intellectual perspectives, techniques for mediation and professional skills for conflict transformation at the highest level. Participants were to be given the opportunity to study a selected set of contemporary conflict-formations under expert guidance from the Galtung-Institut staff and three outstanding professionals: Prof. Johan Galtung, a Right Livelihood laureate & 2017 Nobel Peace Prize nominee, Prof. Dr. Paul Scott; a US expert on Democratization Processes and Japanese History and Prof. Dr. Kees van der Veer; a professor of psychology and the director of the Cultural Studies Foundation in Amsterdam. Trans-level conflict-analysis & Trans-border conflict dynamics. The dynamic relation between psychology, conflict, violence as well as threats to democratic governance. Practical approaches towards peace such as mediation and peacebuilding. We all had the opportunity to gain insights into all levels of peace studies and accepted the challenge of comparing, contrasting and combining levels of analysis from micro to mega. I for one am taking away innumerable highly interesting new questions and vantage points as well as a couple of delicate solution-indicative proposals – to be tested. 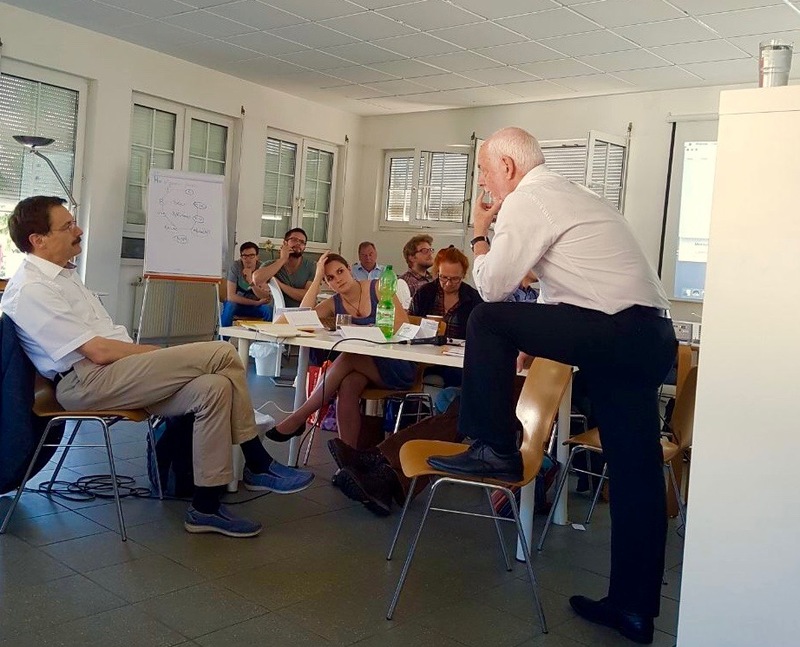 Prof. Paul Scott & Prof. Kees van der Veer enriched the Summer Academy with their inputs from political science, democracy theory and psychology. Prof. Dr. Paul Scott introduced us to the challenge of Right-Wing populism in liberal democracies, a subject that we as peace and conflict students were highly concerned about. After his first lecture, we understood that Prof. Scott’s special talent was to sensitize us to the extreme difficulty of raising the right questions. This maieutic approach involved the full plenary in a lively & ceaselessly challenging discussion of Right-Wing Populism in Liberal Democracies by raising an ever increasing amount of questions. This method was probably just as challenging as the Right-Wing Populism topic itself. Prof. Scott laced his lively presentation with brilliant ideas, elicited and included insights from participants, who for the most part successfully coped with that challenge. During his sessions, participants were confronted with the problematiques of alienation in multicultural societies, the ambiguities of the “telos of democracy” and were given an opportunity to skype with a media-governance insider from twitter about how their algorithms monitor hate speech & the dissemination of illiberal views in social media. A key finding was that Silicon Valley investors and designers had a skewed and inadequate perception of the reality they provide their services to. We further discussed questions such as “How to avoid violence in the media? Who decides about the limits of hate-speech?” These topics triggered new ideas, many more follow up questions and some answers that may well lead to the penning of a UN proposal under Prof. Scott’s coordination. Our intense discussion with Prof. Scott has thus triggered a common, cooperative project that will develop over the next year and prospectively be finished by the time the next G-ISA 2018 starts. Rather than focusing on the art of asking the right questions, Prof. Kees van der Veer strengthened our understanding of conflict and peace with a clear-cut input from interpersonal psychology. He thus complemented our reflections about conflicts on the meso-level (democracy and populism) with insights into intra- and interpersonal conflicts on the micro level. With Prof. van der Veer, we discussed conflicts in intimate relationships, attitude and behaviour, conformity and obedience, hostile intergroup behaviour and xenophobia. One issue that especially struck me were the discrepancies between implicit attitudes, explicit attitudes and behaviour. Prof. van der Veer revealed how difficult it becomes to gain access to a person’s implicit attitude, which I thought was highly important to consider when talking about interpersonal conflict. He referred us to LaPierre’s research that discovered inconsistencies between the reported attitudes of participants on the one hand and their behaviour on the other hand. According to LaPierre, reasons for these inconsistencies can be divergences between what people report about their attitudes in an interview and what people’s real attitudes are. They may give divergent answers due to e.g. the desire to be socially accepted or due to a veiled self-perception. I found these problems to be of immense importance when working with different parties towards conflict transformation. A key concern of mine being the problem of mediating with actors who have a “hidden agenda”. Hence, even though psychological studies and statistics can seem dry at first, these insights into interpersonal dynamics from a psychological perspective enriched my understanding of conflict dynamics. As a new colleague at the G-I and still within my first weeks at the office, I was very keen to get the most out of Prof. Galtung’s scheduled 16 sessions of each 90 minutes for this Summer Academy. Naakow Grant-Hayford, the director of the G-I had asked him to impart his essential epistemological, theoretical, methodological and praxeological insights from 60 years of uninterrupted research on and for peace. What follows is a selection of the content imparted by Prof. Johan Galtung during the Galtung-Institut’s Summer Academy. Unlike any other professor that I have listened to so far, Johan Galtung’s lectures outlined his synoptic worldview sprinkled with intriguing ideas, each of them as surprising as – on second thought – plausible. During the summer academy, his epistemology logically translated into his mediation and conflict transformation techniques for the field. He inspired me by provokingly questioning my acquired stances and highlighting a sheer endless stream of disconcerting incongruences between views and insights I hitherto staunchly believed in, with entirely new cognitive angles and stances. It is safe to say, that his insights and intellectual prompts left no comfort zone unruffled. What struck me most about the epistemology that he had to offer was the idea of Eclectic Thinking. He made me understand that Western epistemology (i.e Aristotelians & Cartesians) may be fundamentally different to the way Buddhists or Daoists think – not only in terms of values and interests but also in terms of how thoughts are conceptually engineered and what implications for political behavior flow from these premises. In his short and quick style, he highlighted the advantages of Aristotelian and Cartesian approaches to social sciences as a first cornerstone of his own intellectual style, then admonished us to become competent in deductive reasoning and insisted that we ought to focus on dilemmas – on true vs. false, on valid vs. invalid dichotomies – while dividing objects under our scrutiny into smaller parts as a way of finding out how the world truly works. As a further cornerstone of his Eclectic Thinking approach, Prof. Galtung integrates what he calls “creativism” into his epistemology for which he credits Giambattista Vico. According to this approach, social reality is to be created as willed by deliberate design. This, Prof. Galtung pointed out, is as natural for peace research, peace practice and peace politics as it is for other applied disciplines as architecture, the medical sciences and engineering. In addition, Prof. Galtung highlighted the usefulness of the epistemological constructs underpinning Daoism as another cornerstone of his contribution to applied peacebuilding. Instead of discovering the world by dividing things into ever smaller parts as suggested by Cartesianism, Daoists conceptualise social facts as parts of units aka holons that are themselves parts of even larger holons etc. This way of thinking invites me to approach conflicts differently, valuing the question “What is this person, this ethnic group or this state a part of?” as much as the question “What is in this person, in this ethnic group or in this state?” Thinking in both directions surely will increase the workload, but it also broadens the horizon. Finally, Buddhist thinking was the fourth epistemological cornerstone of Galtung’s intellectual model for applied peace studies. Buddhism suggests an alternative that goes beyond the dualism and the “tertium non datur” approach ingrained in Aristotelian thought. Galtung’s point is to go beyond the standard approach of looking out for dichotomies by systematically separating that which is true from that which is false while excluding the third. Instead, in Buddhism, the assumption is that there is a tetra-lemma between (1) true (2) false (3) neither-nor and most importantly (4) both-and. This mode of making sense of reality is – according to Galtung’s findings – central to solution-indicative peace politics in particular and peacebuilding in general. Buddhism, far from the underlying assumption of methodological individualism, implies that it is relations that create individuals. Thus the social scientist’s concentration zooms in as much on the attributes of relationships between individuals as it zooms in on the attributes of the individuals themselves: “The net becomes as important as the nodes of the net.” Galtung pointed out, that the Japanese term ENGI best encapsulates this idea of everything hanging together in such a way as to direct sociological investigation not so much towards finding first causes, or immediate effects but towards identifying nets of co-dependent causation. It rejects the overarching image of the linear causal chain as the key law according to which to make sense of social reality. 1. We ought to never stop studying the world critically. 3. We should ask people about their reasons for doing something that we may condemn. In addition to this general advice, he suggested we all inform ourselves about worldly happenings through a diverse set of news-channels – preferably by simultaneously checking CNN, BBC, the NY Times, France 24, Russia Today, Al Jazeera and CCTV on any given issue. This would allow a multipolar sense of what is reported on and be more close to reality. I understood that Prof. Galtung had probably never stopped to critically ask questions to any -isms he had read about or heard of in his quest to see the world through the four perspectives above and that he may have been particularly resourceful by adopting from these, all the gems that seemed most efficacious for peacebuilding. After understanding what Galtung meant by intellectual eclecticism, many of his synoptic perceptions and theories for conflict analysis and conflict transformation became much more tangible to me. Similar to his remark about overcoming the dualism between true and false, he made us aware of the contemporary conceptual dualism always positing two poles on the globe: North vs. South or East vs. West. Instead of two poles, he suggests the following eight: Russia – India – China – the Organisation of Islamic Cooperation (OIC), the EU, Africa (AU), the Latin American Countries and the Caribbean (CELAC) and the US. Another – to me very new and interesting – aspect was his advocating for a world of “United Regions” rather than a world of “United Nations”. He stated that states and even more so empires often fail to serve the interests of their own let alone their neighbouring populations and prognosticated, that integrated regions may serve as more adequate forms of social organisation at the macro level. With this in mind, the G-ISA 2017 attendants undertook a little trip to Augusta Raurica, a nearby Roman archaeological site. 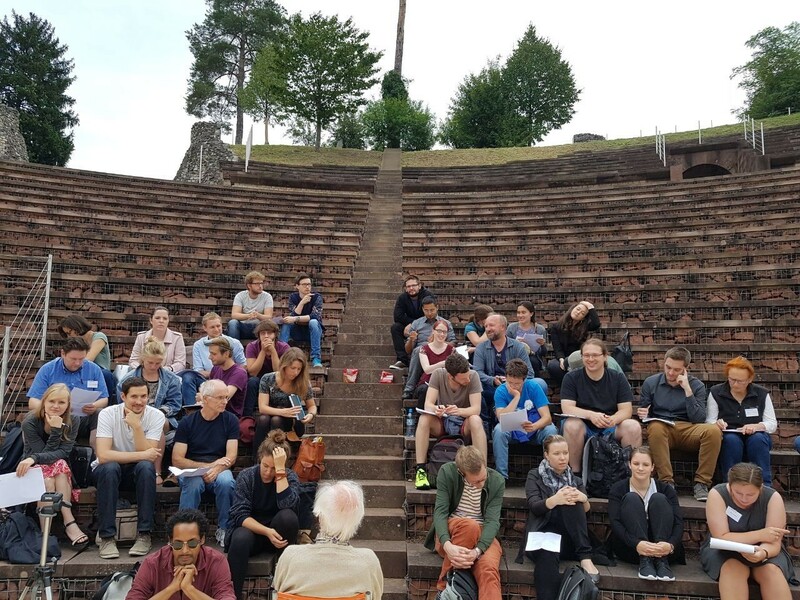 We sat down together on the old steps of a ruined amphitheatre pondering the fallen Roman empire and listening to Prof. Galtung who elaborated on the imminent fall of another empire, the United States of America. Commenting on a recent Pentagon risk assessment study “At Our Own Peril: DoD Risk Assessment in a Post-Primacy World” he emphasised the extent to which the US’s version of imperialism crosses the line of decency across the political, economic, military and cultural power dimensions all over the world. According to him, only the US’s cultural imperialism has authentically succeeded to win hearts and minds all over the world while the economic and military dimensions have killed far more people than is ever reported. He prognosticated that by 2025, the many mistakes that the US made on its way towards maintaining its dominance as leading world power will have backlashed, will have inhibited further expansion and will have triggered the fall of its empire. The US republic, however, will – if it can be salvaged – remain intact. Our meeting at Augusta Raurica was thus characterised by an impressive analogy between the Roman and the US Empire- underlined Prof. Galtung’s strong US scepticism and ostensibly harsh criticism. His lecture however did not generate a pessimistic atmosphere since it was sparked by humorous comments and his trademark meliorative, future-directed constructive ideas. I then understood that while critically reflecting on violent state agency, he simultaneously searches for more peaceful alternatives, such as a “world of United Regions” instead of a “world of United Nations” as was mentioned above. A key take away were his admonishion to always be creative but make sure to produce concrete peacebuilding proposals, that are: constructive. This leads me to another key idea that I acquired during the Galtung-Institut’s Summer Academy. Prof. Galtung highlighted an optimistic, future-oriented thinking as a major requirement for solution-indicative mediation and conflict transformation. In that fashion, he introduced us not only to a Conflict- but also to a Peace-Formula. According to these, a conflict consists of conflicting goals/means, interests and/or values between actors who are carriers of attitudes, behaviors and contradicitions. Peace is a relation between such actors, that relates Equity x Harmony divided by Trauma x Conflict. Relations are thereby more peaceful the more equitable and harmonious they are and less peaceful the more trauma and conflict they harbour. Hence, encouraging equity in interaction through cooperation based on equal and mutual benefits and fostering harmony by empathetic interaction increases the degree of positive peace in social systems. Furthermore, healing trauma and solving conflict increases the degree of negative peace in a social relation. 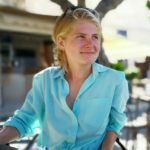 In order to transform a conflict and to simultaneously foster peace, it is crucial to map the contradicting goals, check for legitimacy and finally to creatively transform the contradiction towards a “condiction” (compatible goals), always having prepared an actionable constructive vision of the nonviolent future. Later on, we were given the opportunity to practice our conflict transformation skills on two empirical cases, (1) the tensions around the North-African enclaves Ceuta and Melilla as well as (2) the crisis between Europe and Russia. These discussions on current cases allowed us to understand the complexity that a mediator has to deal with when trying to transform conflictual dynamics into peaceful relations and offered us the opportunity to get an idea of how Prof. Galtung approaches concrete conflict-transformation. This dense sequence of daily cognitive input by these three professionals was framed by a warm and welcoming atmosphere at the G-I. The competent G-I staff was constantly available for any questions or concerns that popped up during the lectures. Accordingly, lunchbreaks were often spent over hot discussions between participants, G-I trainees and Mr. Grant-Hayford, the principle organiser of the event. Apart from offering these debates during lunch break, the G-I had filled its spaces with Prof. Galtung’s published books, which we could peruse and purchase. 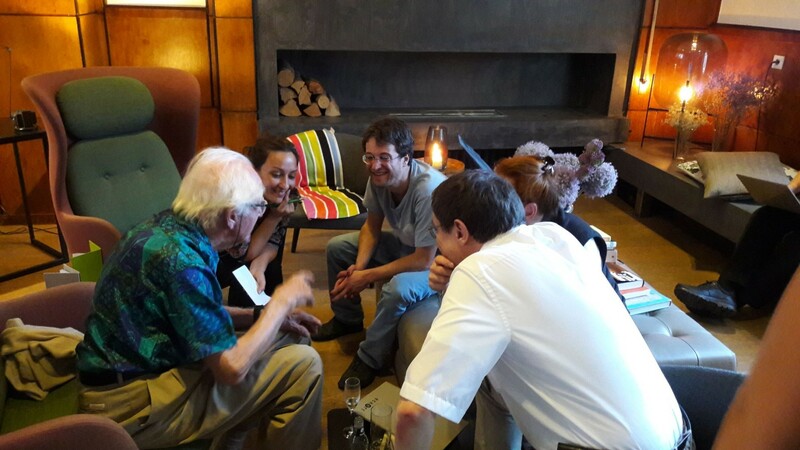 In the evenings, Prof. Galtung usually motivated some of us to go for one or two “Kirschwasser” or a couple of beers and consequently, participants, organisers and lecturers found themselves informally sitting at a bar nearby, exchanging impressions of the day or continuing unsettled discussions that had been waiting to be settled since lunchtime. I enjoyed mingling during these evenings, getting to know some participants better and starting to network for possible common future projects. These evening discussions also helped master the gradually increasing challenge of (1) drawing links between the different topics that had been discussed during the day, (2) critically reflecting upon the new ideas that the lecturers had thrown into the room during class and (3) translating the theoretically acquired insights into constructive steps for further practical work in the field of mediation and conflict transformation. Fortunately, these very concerns were further addressed during the three optional training sessions that were offered by Mr. Grant-Hayford during the following week. Supported by Vanessa Daì and Hanno Heynitz, two advanced G-I trainees at the Galtung-Institut, he completed our understanding of the subjects that Prof. Galtung had introduced us to. Some fundamental concepts, theories and methods that the G-I works with were explained and added to the pool of knowledge that we had gained just the week before. What I especially enjoyed was the practical part of that training. We each contributed a conflict that we had personally experienced and began to explore a case through simulation & role-playing. We explored the attitudes, behaviours and contradictions of the conflicting parties and interacted with mediators that worked on the conflict as conflict transformation specialists. 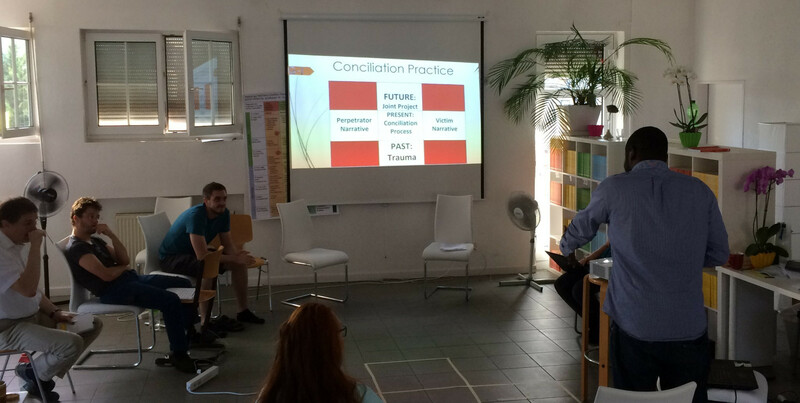 During simulation & role-playing, we enjoyed a guided mediation training and thereby deepened our practical understanding of the concepts we had learned during the Galtung-Institut’s Summer Academy on Solution-Indicative Conflict Analysis, Conflict Resolution and Conflict Transformation. In conclusion, the G-I Summer Academy has substantially enriched my understanding of conflict formation, conflict transformation, mediation and applied peacebuilding and most importantly, it has substantiated and refined my conceptualisation of the term peace. This learning process was accompanied and made possible not only through the professional input that was offered by the experts but also through the organisational framing and the warm atmosphere at the G-I. Both, the G-I staff and fellow participants made this experience much worth my while. As I will be working with staff at the G-I for more months to come, I look forward to continued open dialogues and transborder perspectives on our world. It has proven to be a friendly context with an open culture of dialogue. A great thanks to all who helped set up this Summer Academy! The content-related comments referring to the lectures in this report are from my notes taken during the Summer Academy.